What Are The Odds of Neymar Being Transferred To PSG? According to reports, Neymar is close to finalizing a move to PSG (Paris Saint-Germain) that will make him the highest paid footballer in the world. A few months ago, the odds of Neymar moving from Barcelona were essentially nil. Things have changed, however, and the stars have aligned, with PSG reportedly close to pulling the trigger on a massive transfer fee and contract to secure the services of one of the world's best players. PSG, which is one of the biggest football clubs in the world, finished second in French Ligue 1 last season to Monaco. In order to finish atop the league once again, PSG's executives sought to land one of the world's top five players. In the end, Neymar was the person that they targeted. Neymar is reportedly unhappy playing in the shadow of Lionel Messi and is ready to be the big fish. While playing with Messi, Neymar will never be seen as the world's best player. Standing alone, Neymar may finally get the accolades that he seeks. This move won't come cheaply for PSG, as they will reportedly have to pay a €222 million transfer fee for Neymar, as well as shell out an annual salary of €40 million for the Brazilian striker. The football world is big business, and PSG is confident that they can get a decent return on their investment. 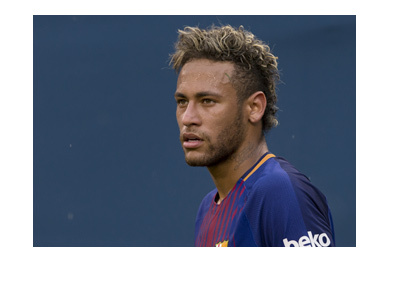 Neymar, on the other hand, will roughly triple his salary if the move goes through. At this point it seems fairly unlikely that Neymar won't be going to PSG. It seems like the relationship with Barcelona is over and that both sides are content to part ways. Will Neymar be in uniform when PSG plays their season opener this weekend? We'll see.